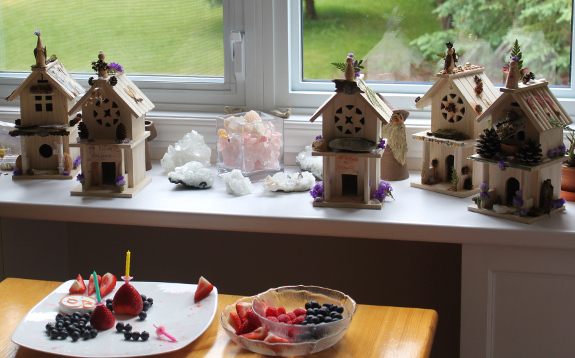 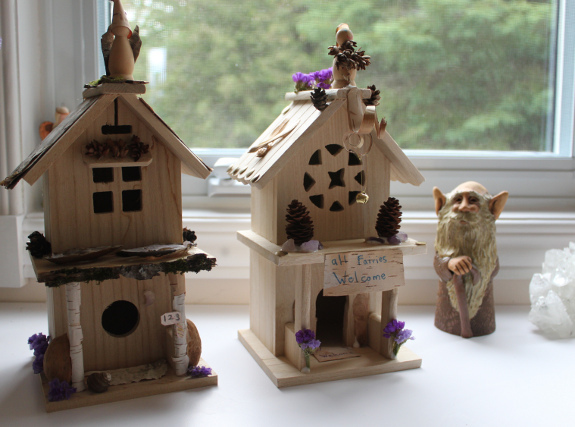 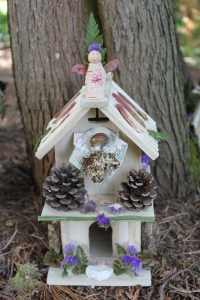 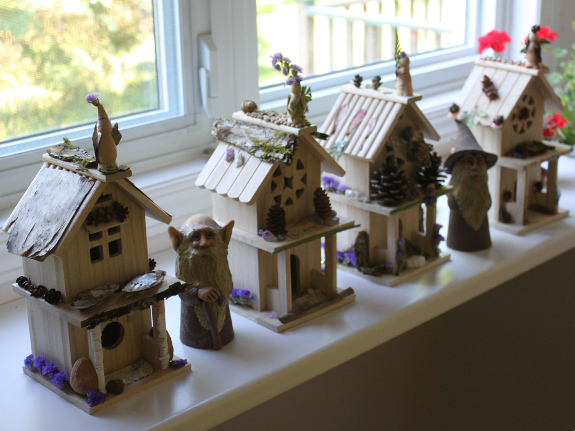 If you have a birthday party coming up and need inspiration, consider making fairy houses. 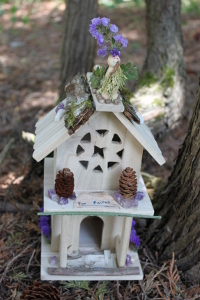 They are more suited to children ages 6 and up with some assistance from adults. 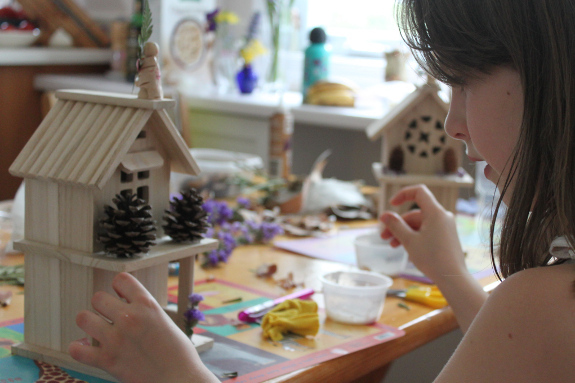 Younger children might enjoy it if an adult is there to do a lot of the work alongside the child. 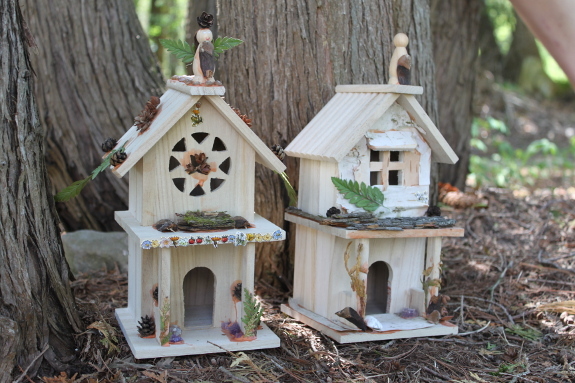 Untreated wooden bird house, typically found in craft stores or make your own simple structure. 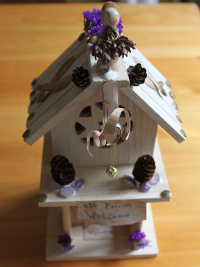 The only real instruction here is to let your imagination run free, gluing the bits and bobs to your structure. 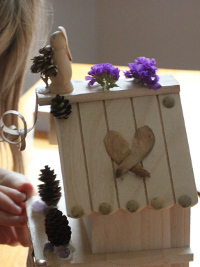 You can add other decorations to your house, like this little gold bell attached to some curly paper birch bark with a gold thread. 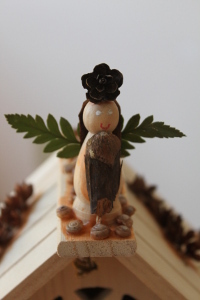 This artist also added gold pushpins to the roof, with the help of an adult. 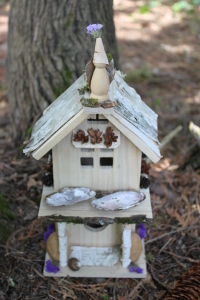 She also added a welcome sign and mat, thanks to some paper birch bark (just a reminder of the importance of using already fallen materials, as taking bark off a tree can make is susceptible to disease or even kill it).